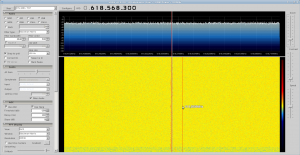 Some days ago i found a nice video clip from an italian guy who used a cheap DVB-T stick (RTLSDR) in combination with a crystal stabilized sat-TV LNB for some 10GHz hamradio experiments. A short search brought up a nice paper about some investigations of G4JNT who investigated the frequency stability and phase noise of one of such LNBs and found that it could be used for narrow band reception in amateur service. It can be found here: http://www.g4jnt.com/PLL_LNB_Tests.pdf Since i already have some experience with the RTLSDR stuff and currently experimenting with 10GHz as well i decided to give this ultracheap setup a chance. I purchased a LNB (which was told to have crystal stabilization) for about 7 Euro and made a phantom feed for that. With just the 12V applied to the coaxial cable it works in the lower band and the polarization is in the direction of the antenna connector. 10386MHz falls to about 618MHz since there are no sharp filters inside the LNB it is possible to receive some ham signals. The picture shows the reception of the local beacon DM0TUD. Its not very strong here since it comes in via reflection at the other side of the city. With my 60cm dish its about S8. The LNB i use without any dish just placing it onto the cupboard. Find here a short video that give an impression how it sounds like. 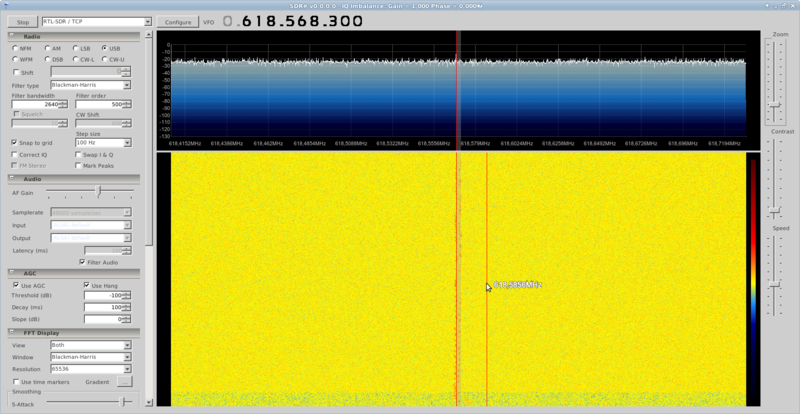 The signal sounds a bit ugly because of the LNBs oscillator phase noise. The frequency of the LNB was quite stable after half an hour of operation. 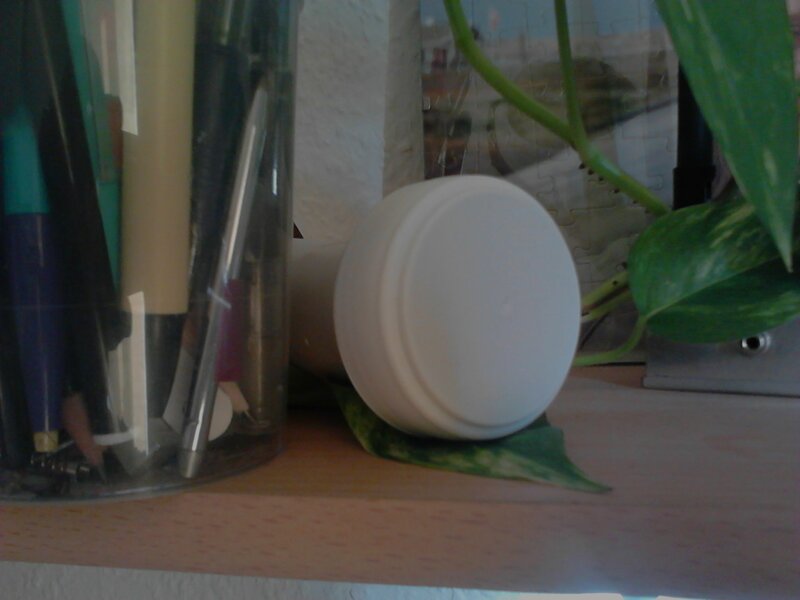 The LNB was just lying on the cupboard and used as it is without any dish. I have no direct line of sight to the beacon and i receive the signal just via reflection at the other end of the city. Therefore you can notice some fading. Edit: When opening the LNB i found that it has DROs and not as advertized on the package a crystal stabilized oscillator. For DROs its working quite well but since its stated even on the package that it should be “crystal controlled” its obviously a fake. Edit 2: Today i received another LNB. Its a Octagon Optima model OTLSO as measured by G4JNT. I made a new video of the reception of the DM0TUD 10GHz beacon under the same conditions as before. The sound is perfectly fine now.